Diabetes Care In Pregnancy and Lifestyle To Prevent! 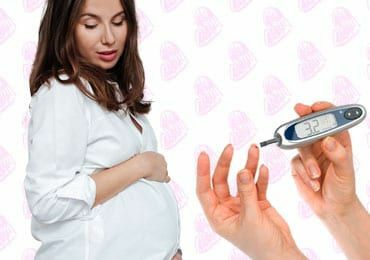 Diabetes Care In Pregnancy You Should Know! The most common disorder affecting the people since last few decades is Diabetes. It has become the most talk of the town disorder. More than 30% of the people around the world are suffering from this disorder. This disorder has even took over children and pregnant women. About 1 million pregnant women cases in India are diagnosed with Diabetes per year. This is also called as GESTATIONAL DIABETES. It usually affects females between the age group 25-40 years during pregnancy. Gestational diabetes is a condition in which the pregnant women is diagnosed with high blood sugar levels instead of Non-Diabetic. It may be self limiting only to the pregnancy alone but they are more tend to develop Type 2 Diabetes mellitus later on. This is because of insulin resistance in producing the quality insulin in the body which traditionally helps in digesting the blood sugar levels. Every 4 of 10 patients in India are getting Gestational Diabetes. It is usually seen in last 4 months of pregnancy. It may be due to some of the risk factors like overweight, history of Diabetes mellitus in the family, previous history of diabetes in earlier pregnancies, thyroid problems and Poly cystic ovarian diseases ( PCOD ). The mother diagnosed with diabetes during pregnancy may affect her unborn child. The baby born may be very large means the growth rate of baby is more than the pregnancy period, child may be born with low blood sugar levels known as Hypoglycemia, Jaundice and in some severe cases death of fetus may occur. So one can get away with these effects my maintaining a healthy lifestyle and by following diet restrictions. Many people has a myth that during pregnancy they should eat thrice their normal diet for the growth of the baby. But truth is that baby growth requires only about one and half times more food than your normal diet. Let us say if you weight is about 50 kgs before pregnancy then up till the end of pregnancy you much put on only by 12-13 kgs i.e 50+12 = 62 kgs at the time of delivery. 1 or 2 kgs is acceptable but more than that can lead to obesity and related problems. Normally during pregnancy due to the hormonal changes the pregnant women have strong desires and aversions for foods and drinks. This sometimes lands up in over eating or neglecting the nutrients at a time. This leads to nutrient imbalance resulting in overweight and deficiency of nutrients. Here we get you some most efficient life style changes for PREVENTION and CONTROL of diabetes in pregnancy. These can be used as effective home remedies too. it is obvious that some females eat only cooked rice and dal during their pregnancy which leads to calorie intake in the overweight. one should have a balanced meal of carbs, fats and proteins every time. Sugars are high in calories and are mostly used in Indian sweets, so try and avoid the intake of sugars. Instead you can use natural sweeteners like Honey and jaggery which also helps in increasing your iron levels which are important during the pregnancy. Yes , refined flour preparations like breads, pastries or any sweets are very bad for diabetes and for the heart health. This can directly lead to the increase in the levels of blood sugar during pregnancy and in other times too. Use brown beads and multigrain breads which are easily available in the markets nowadays. Due to the hormonal changes and the fetal growth the women gets hungry frequently and appetite is increased too. So instead of gulping at a single time one can divide the meals in 5-6 times a day. But be sure to take high protein diet like pulses, sprouts, vegetables and fruit juices in between so that it will keep your tummy relax for sometime by reducing the hunger and all the essential nutrients will supplement the baby’s growth simultaneously. Iron is very much necessary for the growth of the baby and also helps in preventing the Anaemia in pregnancy. Hence it is advised to take the iron tablets during planning of pregnancy only. Taking the naturally rich iron foods helps you better than the oral iron pills or tonic. Fruits such as Pomegranate, Apples, Strawberries, Raspberries, Guava, Chickoo are rich in Iron and folate. They also contain other essentials Vitamins and nutrients like Vitamin C and antioxidants which help in building the immunity strong and also reduces the frequent UTI (Urinary Tract Infections) which are most common in pregnancy. Green leafy vegetables like Drumsticks, Beetroots and Spinach and dry fruits like dates, apricots, figs and jaggery and sesame seeds are the rich source of iron which acts as the natural iron supplement to the body. Calcium is as important as the Iron during pregnancy for both the mother bones and the growth of the baby. Diary foods like milk, curds, Cheese, Ghee are rich in calcium and other vegetables like Tomatoes, Spinach, Methi leaves are helpful during pregnancy. Along with the healthy diet and balanced food, exercises too add up in preventing or controlling the blood sugar levels in pregnancy. Abdomen exercises or pregnancy yoga also help in the strengthening of the uterus muscles helping in the easy baby delivery. A walk of 30-45 minutes in a day also helps to strengthen the muscles and maintains the weight. There are many prenatal exercises which are advised by the therapist during the pregnancy. Stress and Tension has been the major causative factor in the diabetes generally and even in pregnancy too. During pregnancy due to the hormonal changes there is altered mood swings in the female like irritability, anger, excessive joy or depression. This can be controlled by meditation for just 15-20 minutes in a day. This not only destress the mind but also relax and overcome the hormonal disturbances during pregnancy. These above tips will surely help in preventing and controlling the Diabetes in pregnancy and in future years too. During pregnancy the regular Gyanec visits and the routine blood tests can help you to know and control your Diabetes levels. Some doctors even do advice for few medications for diabetes in pregnancy.